I bought this M42 Auto Yashinon for cheap. I didn't even think about trying it first. It is a m42 mount but somehow it doesn't screw all the way, as you can see from the pictures with lens mounted on my 77D. Of course, reaching infinity is impossible. 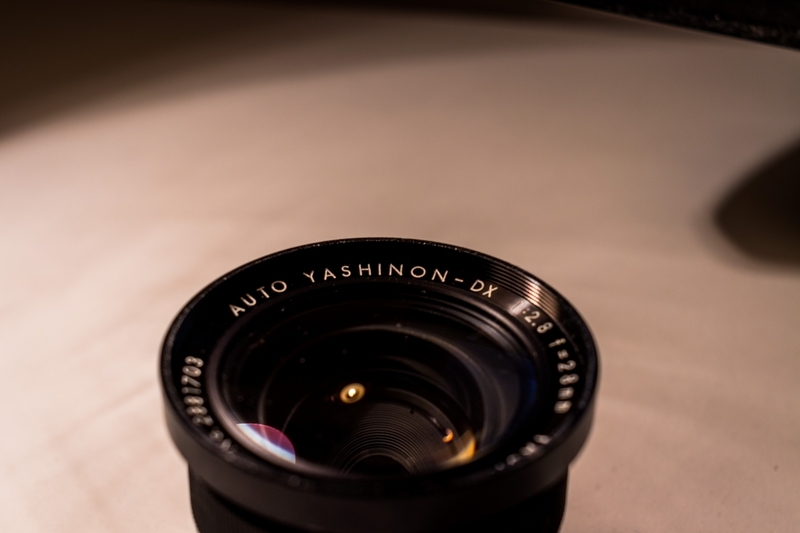 I have other m42 lenses, even a Yashinon 1,4/50 that work with this adapter just fine. Has anyone encountered this problem? Any ideas how to solve this are welcome. Sounds like lens is T-mount -- same thread diameter as M42, but different threads-per-millimeter. I'm not familiar with this particular lens, but just wondering if there's some kind of aperture sensing "lug", as used on Fujica screw cameras, that's causing the problem. I've got several Fujica lenses, having used that system back in the 70's, and have taken a file to all of them so's I can continue to benefit from my investments. Without removing the "lug" on the back of the aperture ring, the Fujica lenses won't screw completely home on a "conventional" 42-screw camera, the net result being an "off-centre" lens and an aperture ring that won't turn. 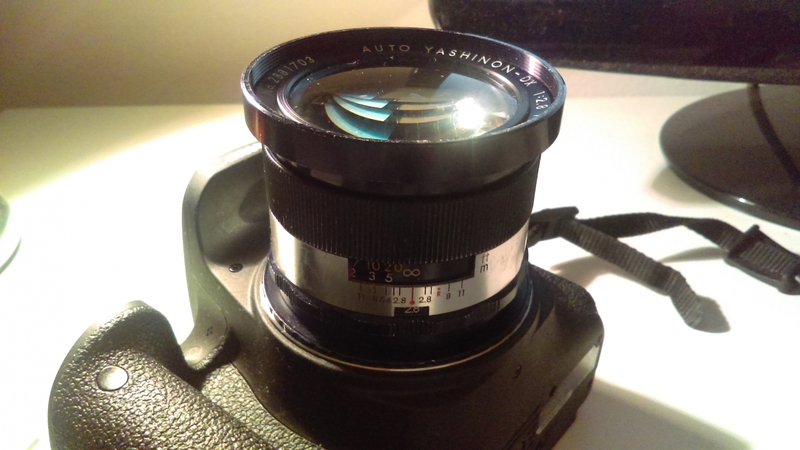 It's obviously not a T2 lens, the aperture pin is a giveaway ... and is that an "auto/manual" switch just visible? The solution was far more simple than I imagined. 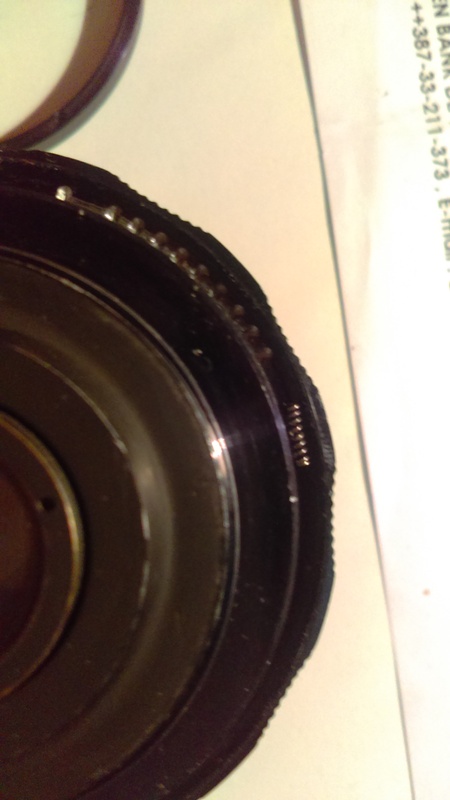 I just removed the base ring to find a little spring lodged there causing the ring to be few millimeters closer to the lens mount, thus preventing the lens from screwing all the way. Who and why someone left it there is a mystery. I doubt anyone else will encounter this exact situation but I am posting the answer, anyway. Thanks for all replies, this forum is one of nicest communities on the net. Looks like an aperture-ring spring. Pushes a ball bearing against the lens body. The body has detentions to catch the ball. The detentions are placed so the aperture ring is held in place. 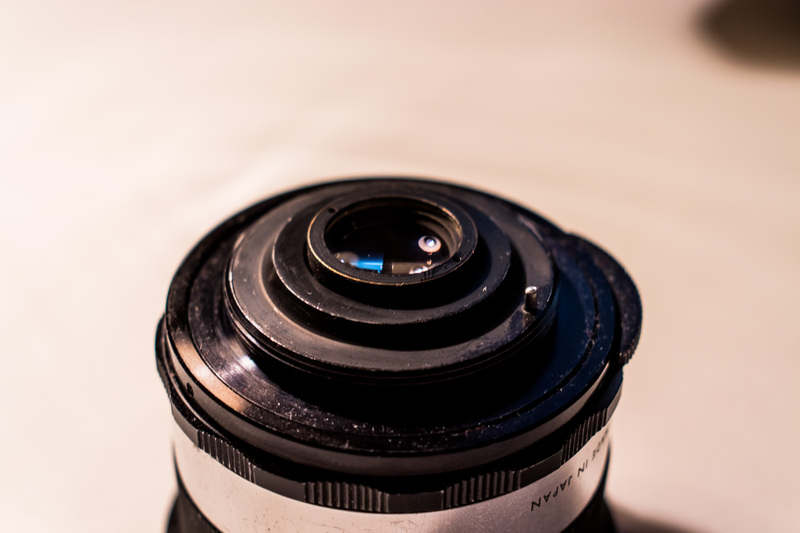 The aperture ring clicks. You are probably right, now when I think about it that way. The ball bearing is long gone, though. The lens is now declicked properly and focuses to infinity. Same story with my 50mm f1.7 DSM Yashinon. Ball and spring just refused to stay put. Such a pain to get at too,top down deconstruction all the way,no 'back door'!